True 15 pin connected high quality monitor cable. 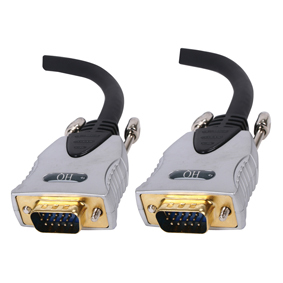 Can be used to connect TV or monitor (must have 15 pin vga socket) to a computer. Gold plated connections. Double Screened.